My great friend Liam Davison (right) would have been 60 today. That’s us, in Vietnam I think. I don’t want to talk about the senseless loss of life, that took him and his wife Francesca that was MH17, and one day I’ll be ready to write in a lot more detail about Liam and his writing, and what they both meant to me. 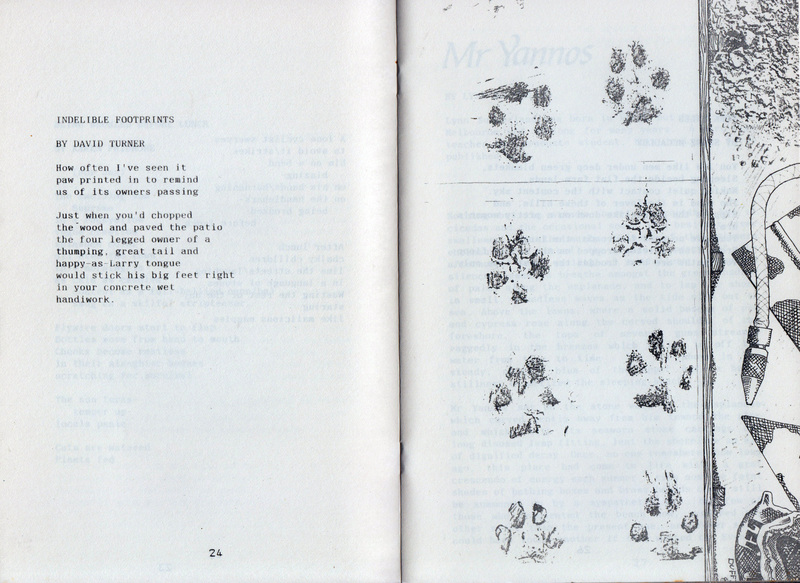 Liam was an extraordinary person and writer. 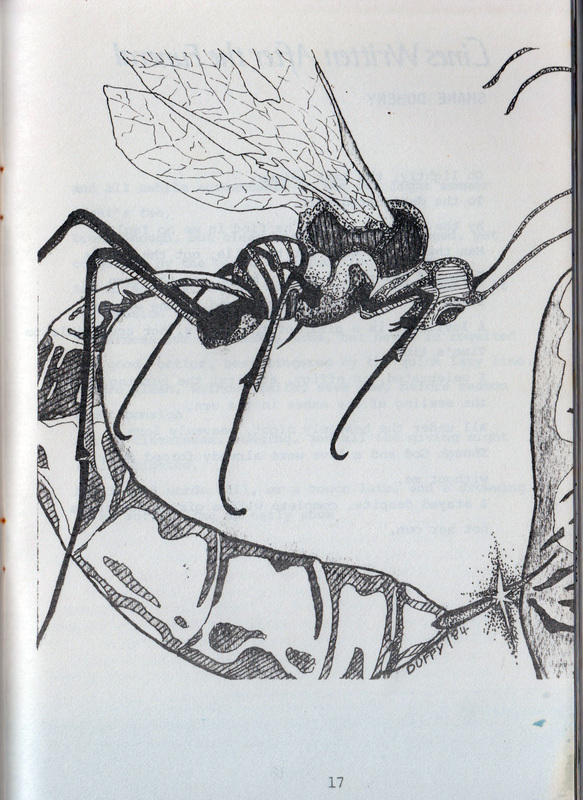 Today, I’m just remembering the friend I met at teacher’s college in 1975, who I taught with, wrote with, travelled, socialised, rode and and talked with for nearly forty years. 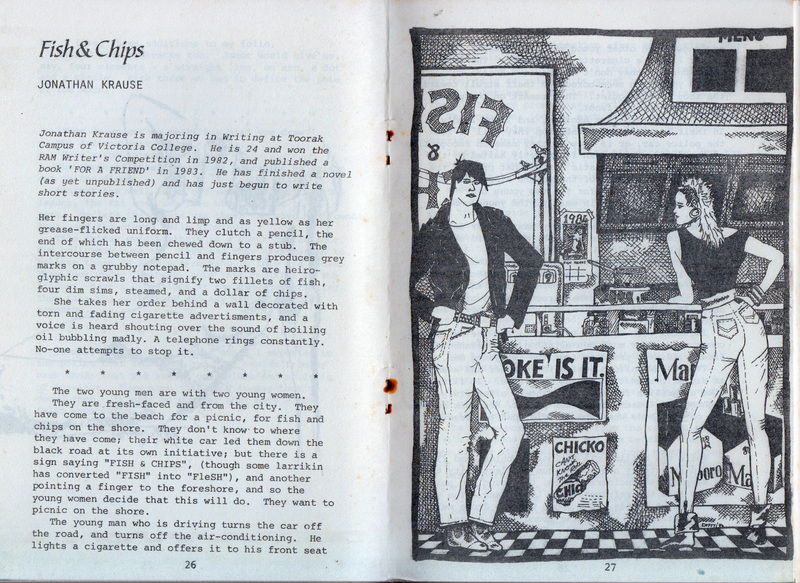 Recently, Gavin Duffy, the graphics editor of Peninsula Writing, shared some photos he’d re-discovered of Gavin, Liam and myself on the radio set of Radio Port Phillip where we did a weekly radio show on local writing for a while, and also trying to sell our little magazine at a publisher’s event in the mid 1980s. They were fun times, excited about writing and where it all might lead. 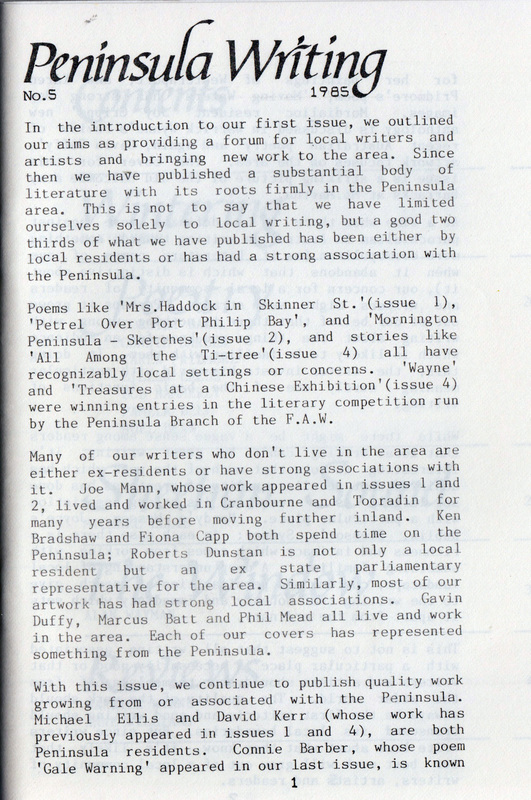 I love our Peninsula Writing wind-cheaters and that sense that we were doing something fun and important. I miss him pretty much every day. 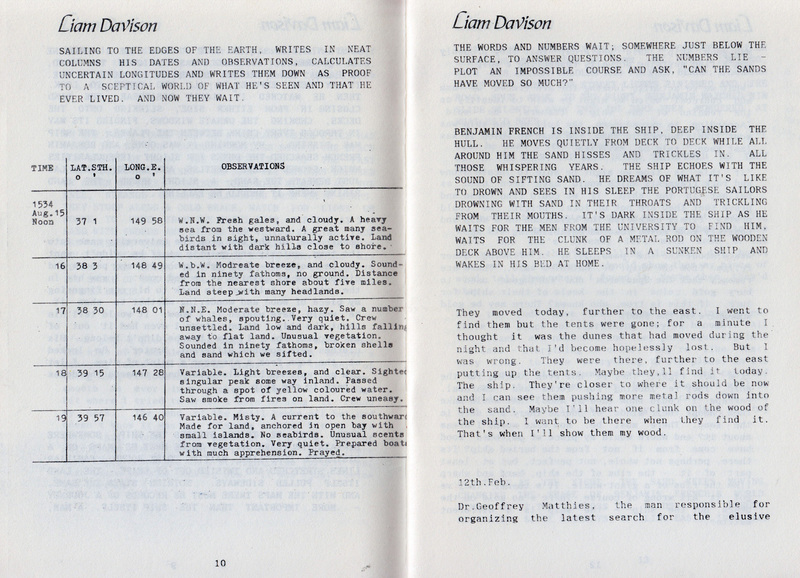 Below: Promoting local writing on Radio Port Phillip. From left: Liam, Debbie Batt, me. Below: On the Small Publishers stand at a book fair. From left: Liam, unknown, me. Below: Liam, Gavin Duffy and unknown, Book Fair. 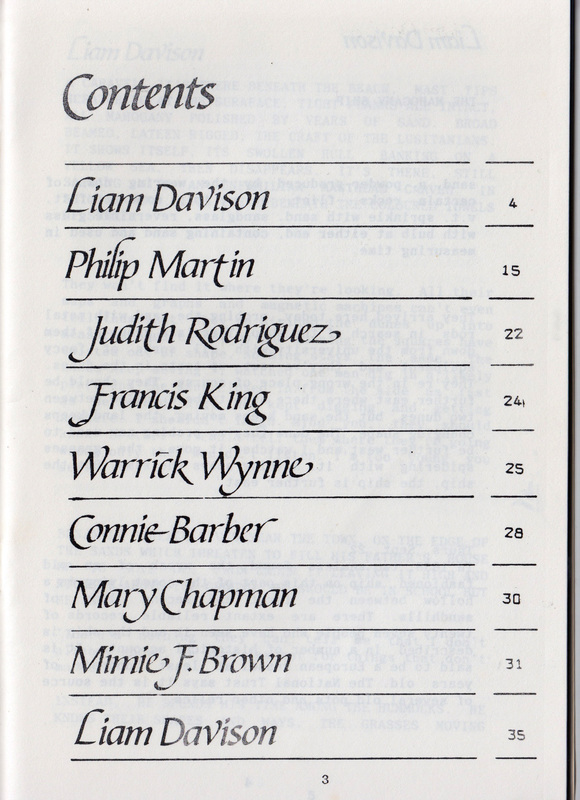 The sixth issue of Peninsula Writing was perhaps the finest edition of them all. It was also the last. 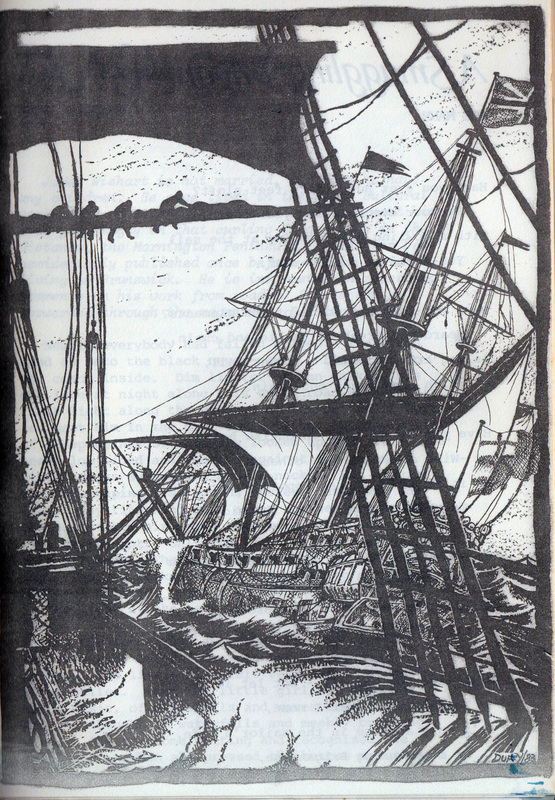 The magazine took on a theme approach for the first time, the Mahogany Ship, an almost mythical ship that had been sighted briefly half-buried in the sand dunes near Warrnambool that seemed to pre-date known European settlement. This was the first cover that wasn’t by Gavin Duffy; a map of the Warrnambool sand dunes including the enigmatic site of wreck. 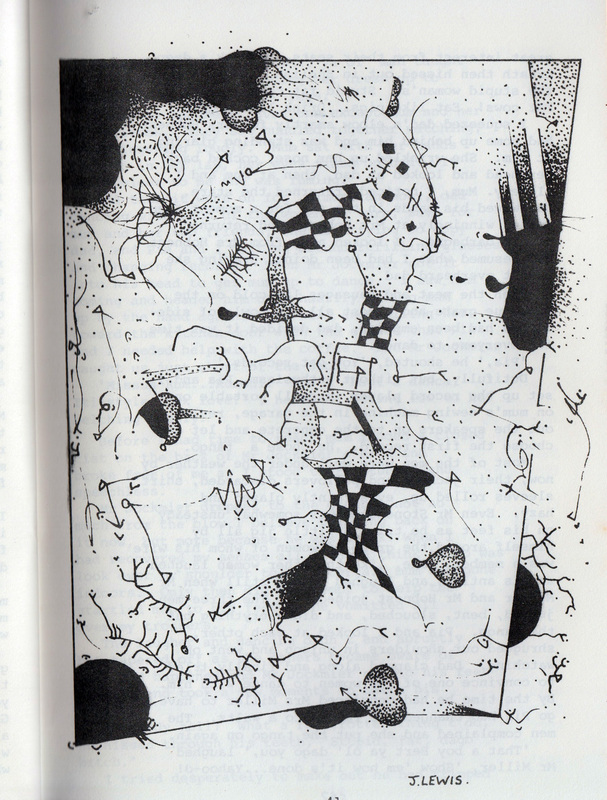 Beyond that, the issue didn’t contain a lot of artwork. 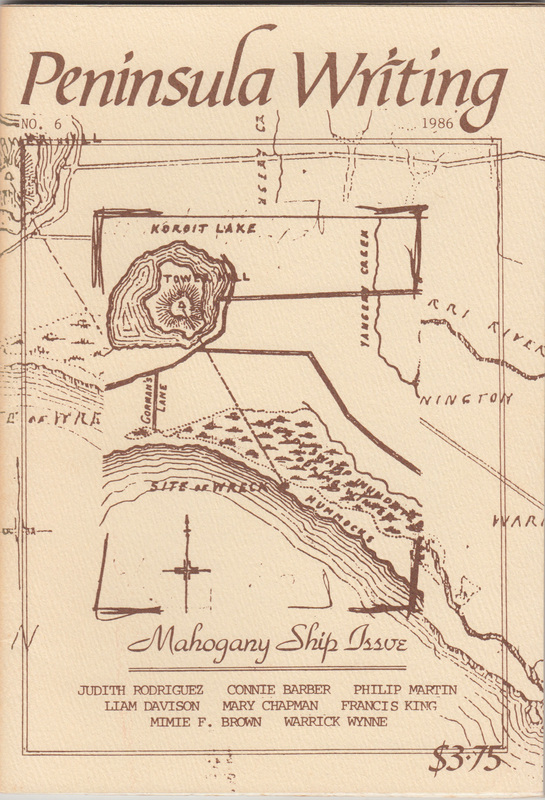 The Mahogany Ship idea was an interesting choice, given that the Mahogany Ship history is located on the west coast of Victoria, a long way from the Mornington Peninsula. 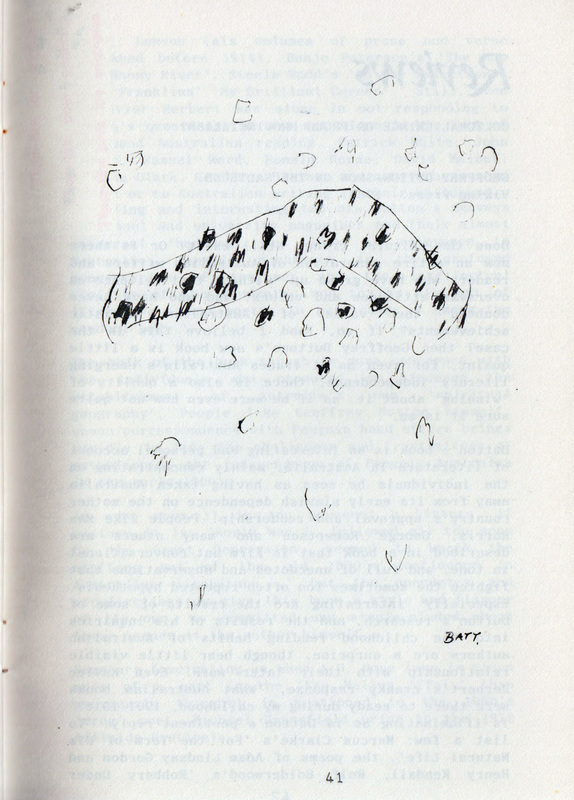 But the range of writing gathered together was significant. 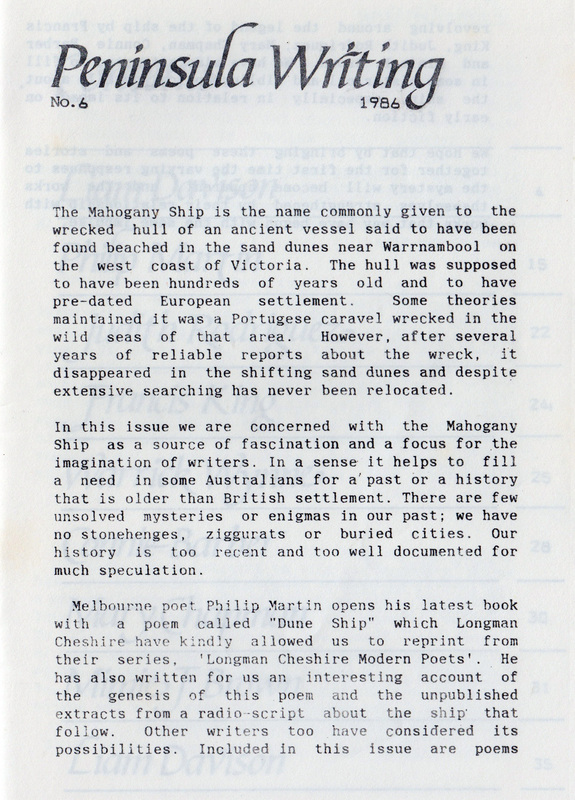 The issue opened with Liam Davison’s fine story The Mahogany Ship, Melbourne poet Philip Martin generously allowed us to reprint his poem Dune Ship, which had just appeared in his own book, and he also wrote an interesting account of the genesis of that poem. 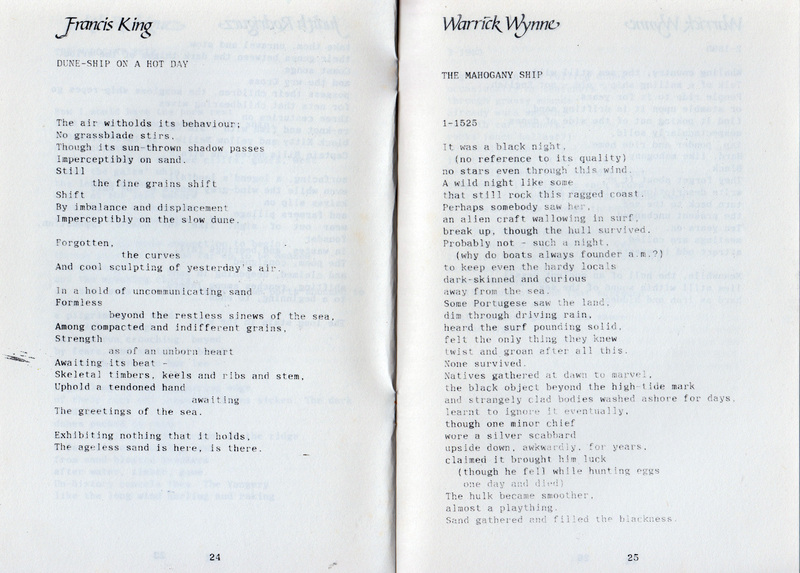 followed by a poem by Judith Rodriguez The Mahogany Ship, Dune Ship on a Hot Day by Francis King, The Mahogany Ship by Warrick Wynne, Ship by Connie Barber, The Ship as Lover by Mary Chapman and The Mahogany Ship by Mimie F. Brown. 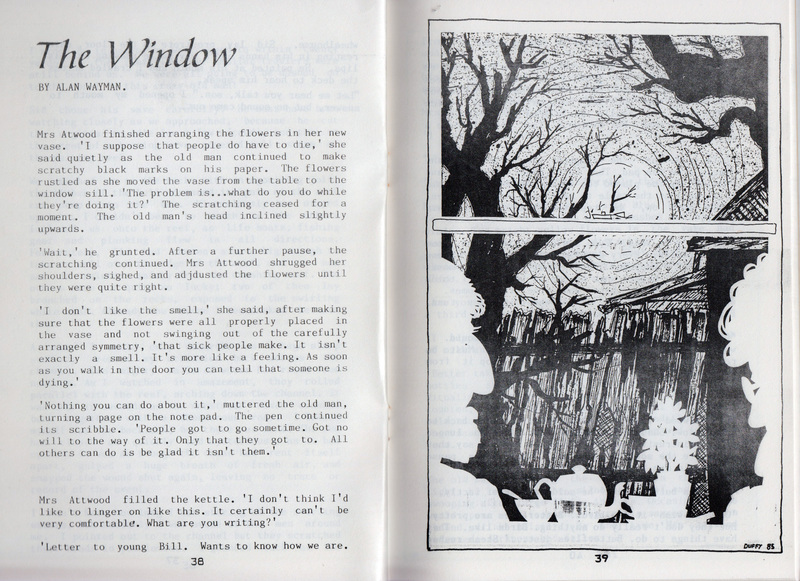 This was the first time in six issues that Liam Davison and myself had included our own creative writing in the magazine. 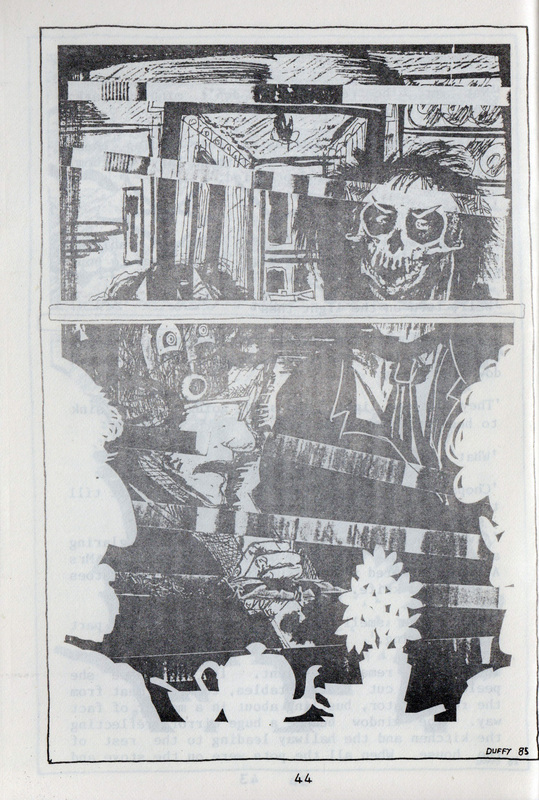 I think that issue five is the high point of the magazine, for the ideas and the quality of the writing and how the pieces bounce off each other, although you could argue that, for its artwork, issue four was the best. There is no hint in this issue that it would be the last. 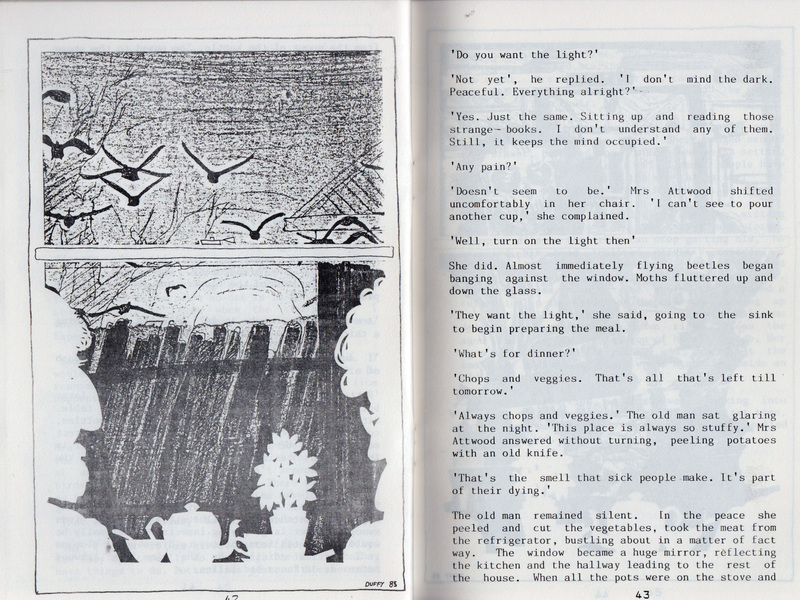 In fact, the last page still seeks subscriptions. 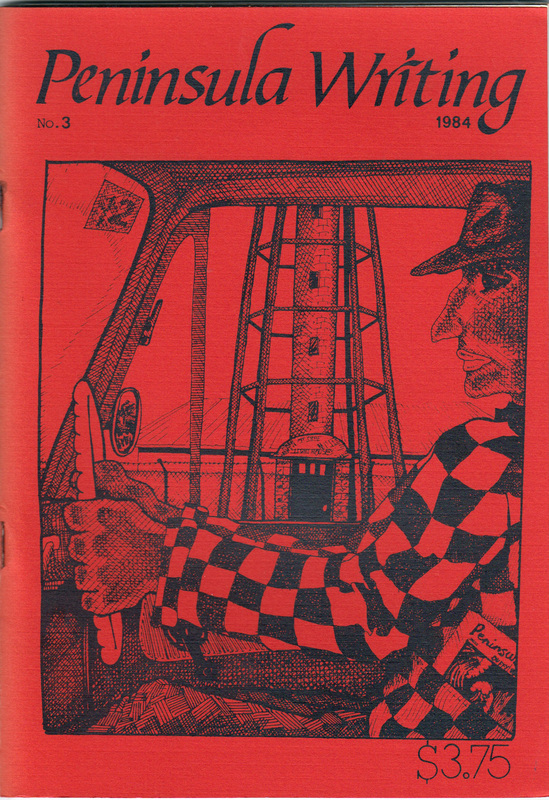 But it would be the final issue of this little magazine. 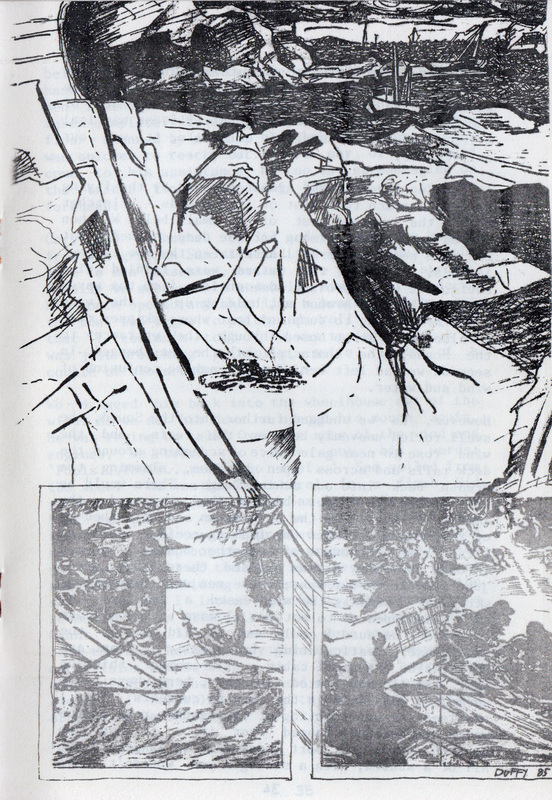 Below: The Editorial for Issue six. 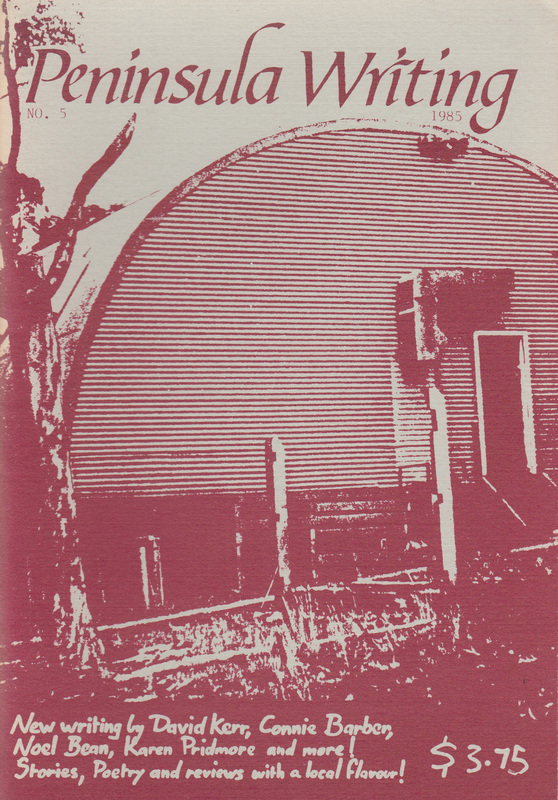 The fifth issue of Peninsula Writing featured a photograph on the cover for the first time, a stylised looking shot of one of the Balcombe Army huts falling into disrepair already. 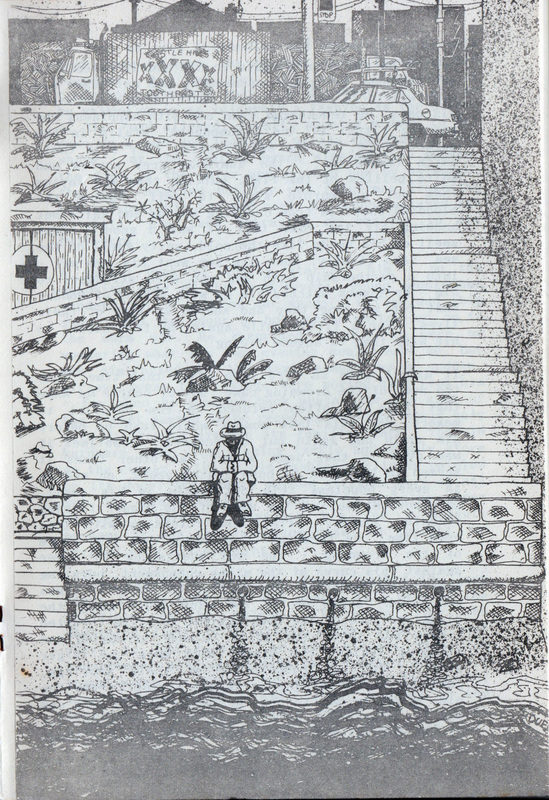 This issue featured stories by David Kerr, Michael Ellis and Alan Wayman and poetry by Dorothy Hall, Connie Barber, Karen Pridmore, Eileen Leeds, Bob Hammerly, Pamela Dell and Noel Bean. 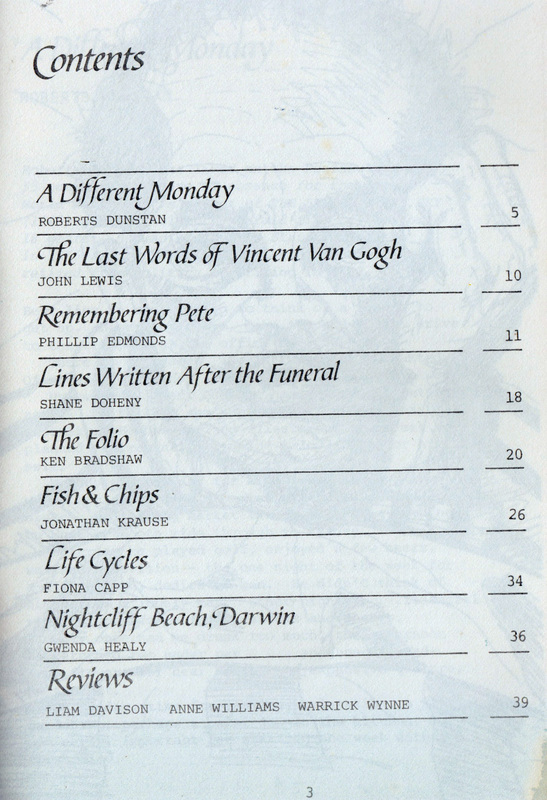 In the reviews section, I reviewed Peter Murphy’s Lies, Poetry Australia No. 90, The Truth about Unicorns by Doris Brett and Celebration by Joy Beaudette Cripps. 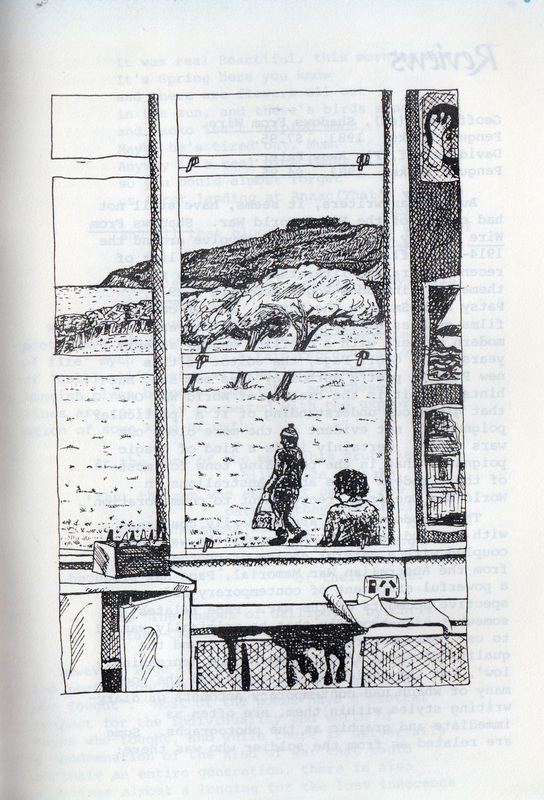 Anne Williams reviewed Beachmasters by Thea Astley. 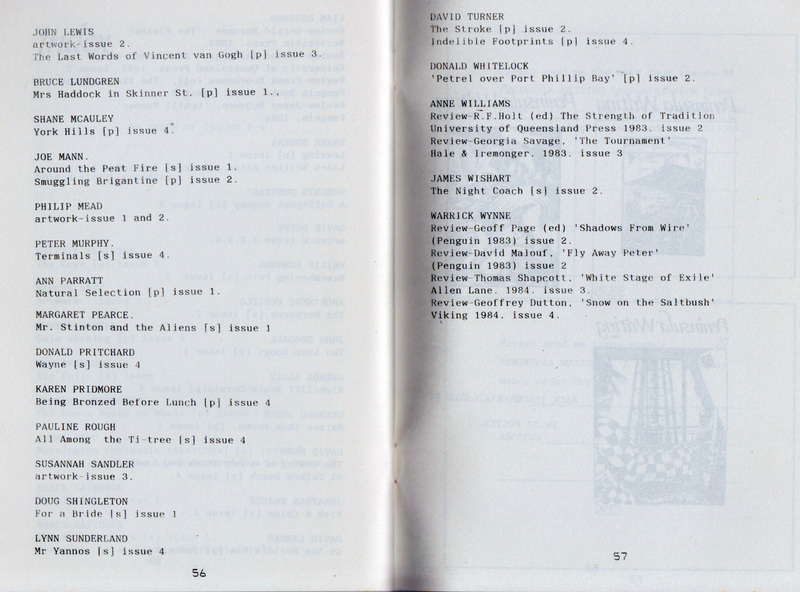 By this stage we were able to list stockists: Robinsons Bookshop in Frankston, who sponsored the back cover, Farrells Bookshop in Mornington, Red Hill Newsagency, Jindalee Craft Store in Balnarring, The Haybasket in Somerville, Tyabb Antique Store, Merricks General Store, Flinders Craft Store, Monash University Co-Op Bookshop, Mt Erica Newsagency in Prahran and Collected Works in Fitzroy. 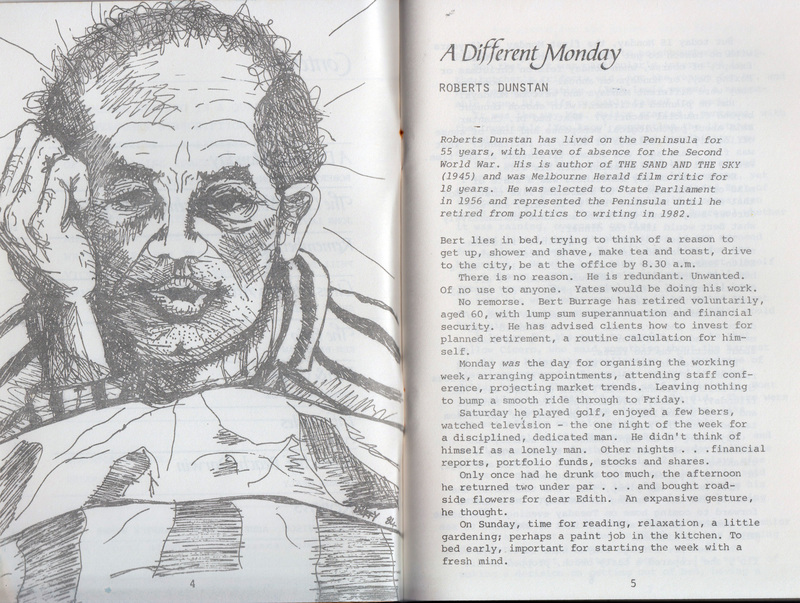 The issue featured more great artwork from Gavin Duffy. 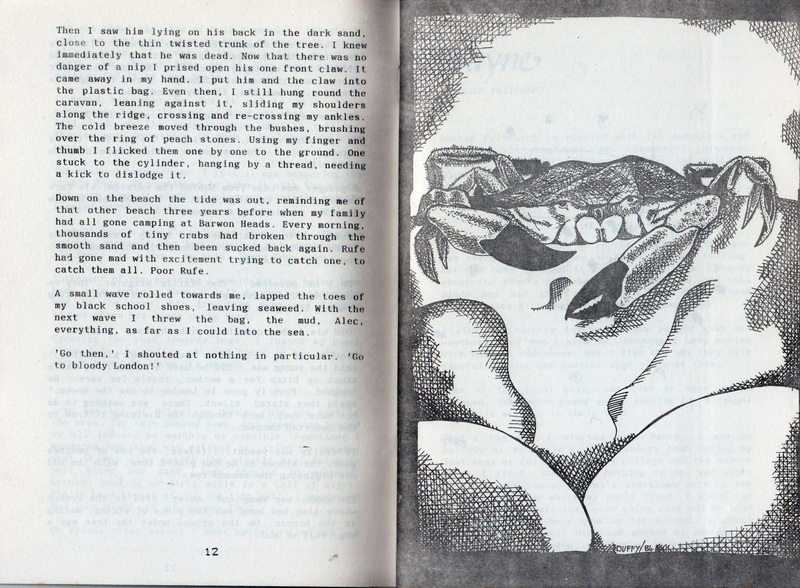 Below: Issue 4 Sold Out! 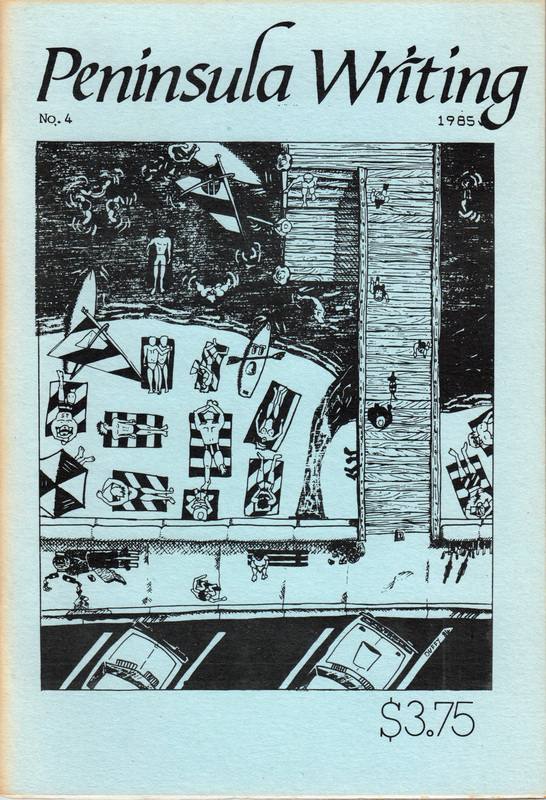 The fourth issue of Peninsula Writing appeared in 1985 and was the last of the illustrated covers from Gavin Duffy, an overview of a beach and perhaps Frankston Pier. 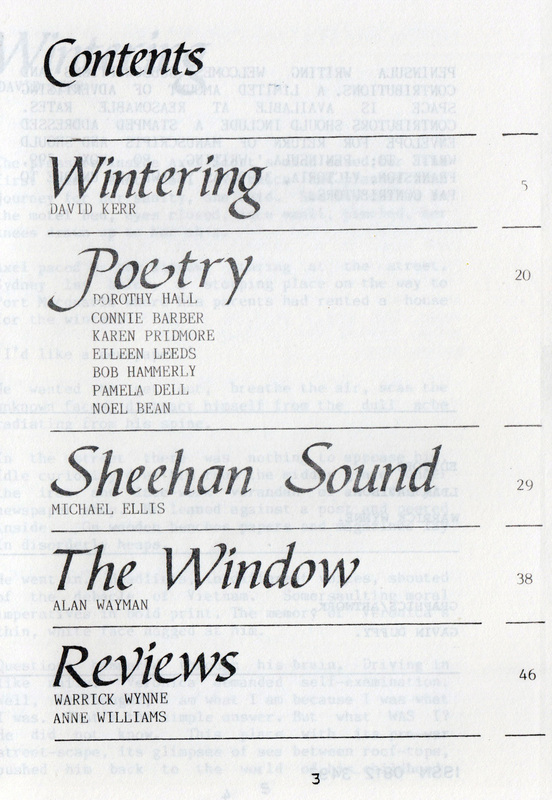 The issue featured stories by Pauline Rough, Donal Pritchard, Lynn Sunderland, Peter Murphy and grouped poems together for the first time. 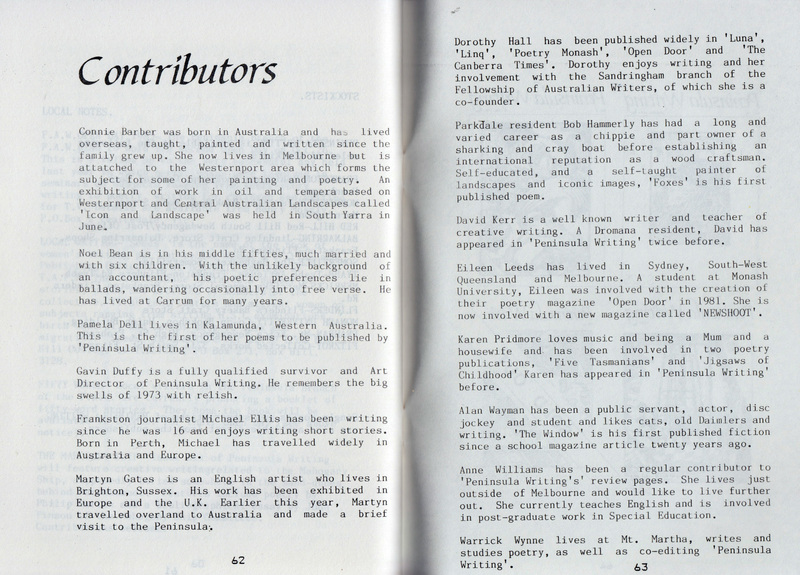 Poets included were Nancy Davison, Connie Barber, David Kerr, Karen Pridmore, David Turner and Shane McCauley. 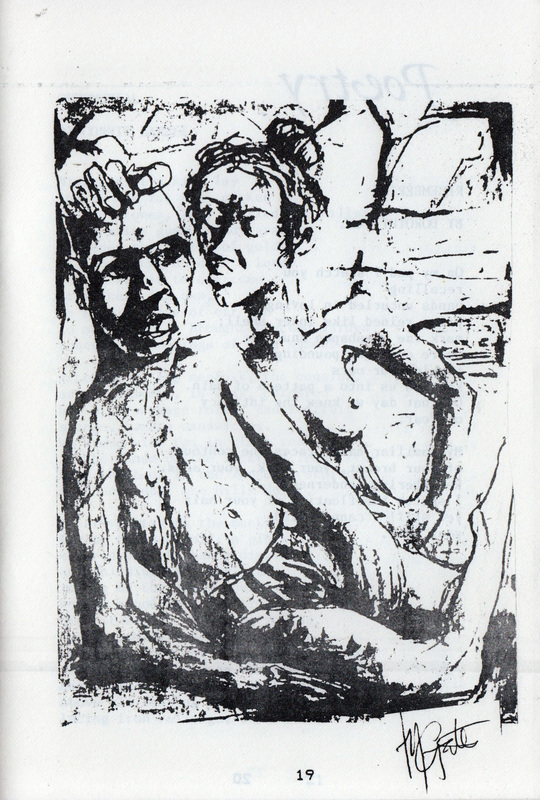 The issue featured artwork by Gavin Duffy and Marcus Batt. 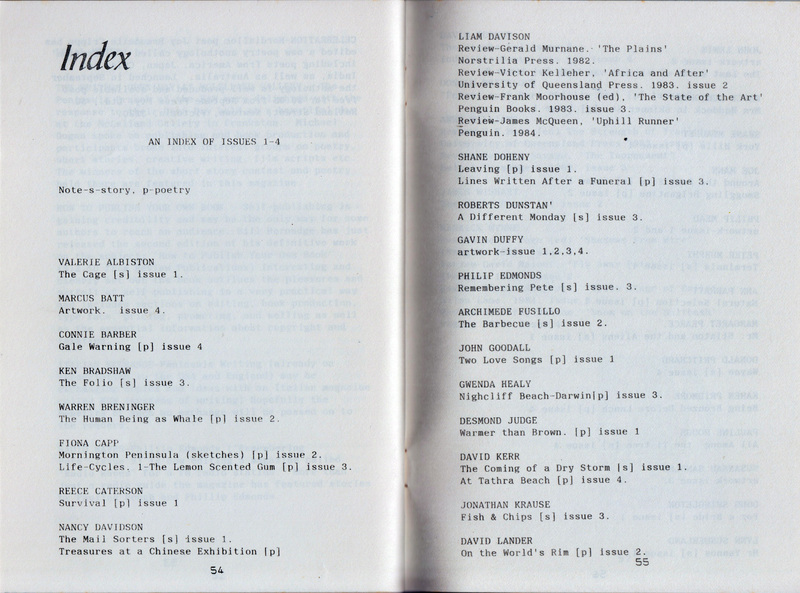 The issue included an index of issues 1-4. 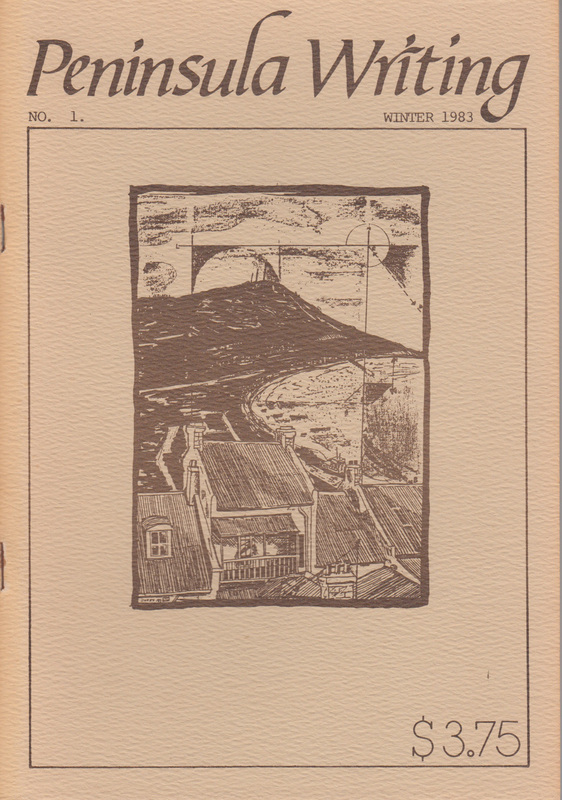 Issue 3 of Peninsula Writing featured another Mornington Peninsula icon, the McCrae Lighthouse on the cover, again by Gavin Duffy. 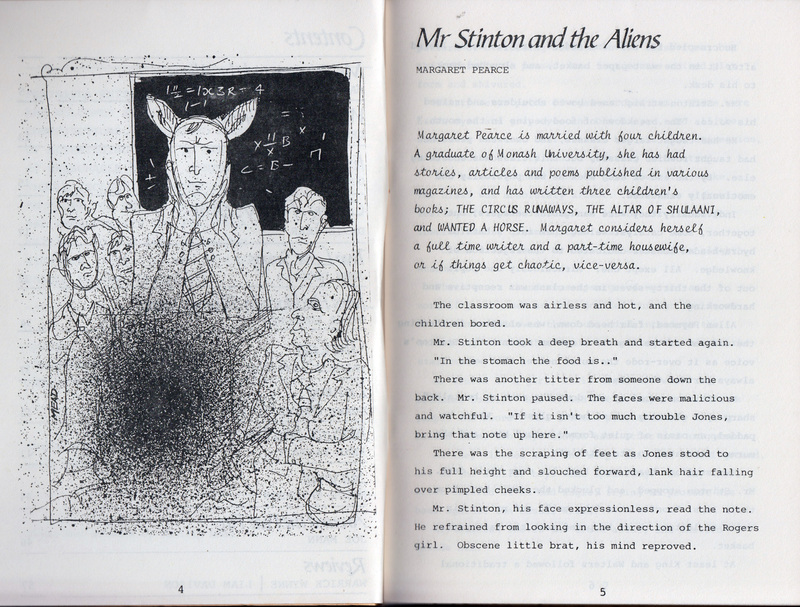 The issue featured writing from Roberts Dunstan, John Lewis, Phillip Edmonds, Shane Doheny, Ken Bradshaw, Jonathan Krause, Fiona Capp and Gwenda Healy. 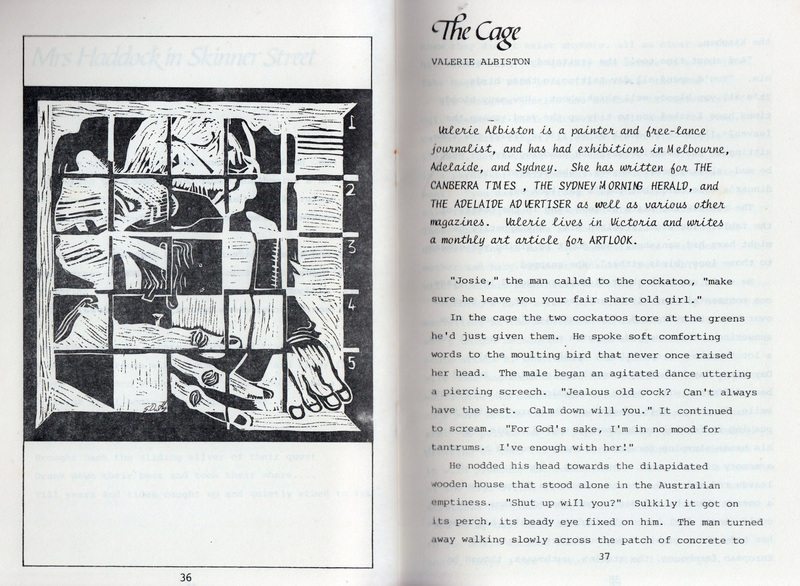 In the reviews section Liam Davison reviewed The State of the Art The Mood of Contemporary Australia in Short Stories, Anne Williams reviewed The Tournament by Georgia Savage and I reviewed White Stag of Exile by Thomas Shapcott. I feel that by this issue we were starting to get the hang of what the magazine should look like, and be. 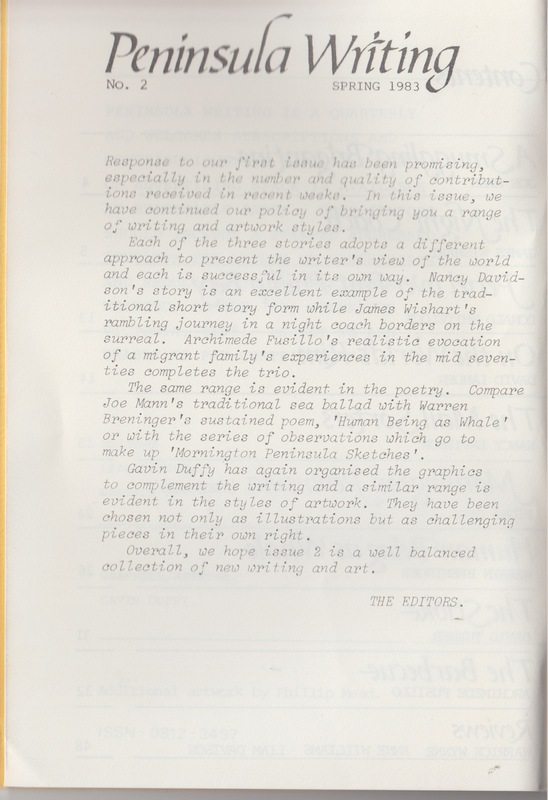 Neither Liam or I had published any of our creative writing in the magazine at this stage; we were both keen to try and establish it as a viable entity in its own right, not a vehicle for our own work. 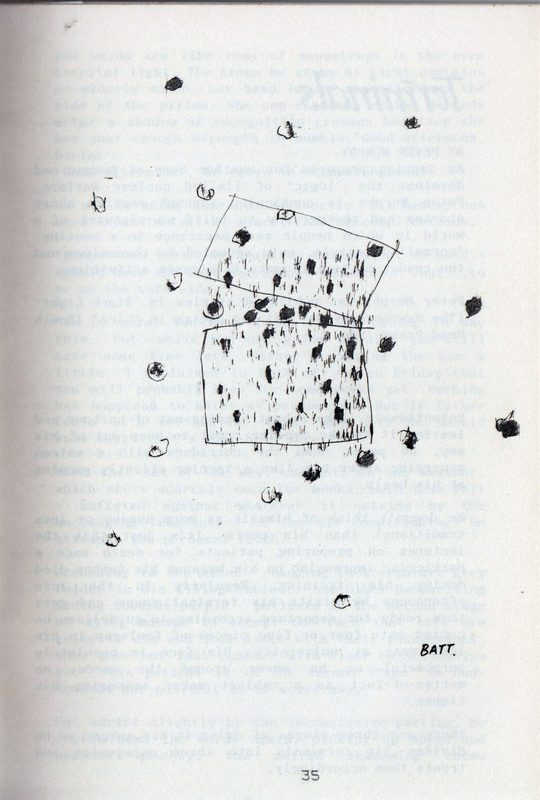 Below: Fish and Chips story by Jonathan Krause. Artwork by Gavin Duffy. 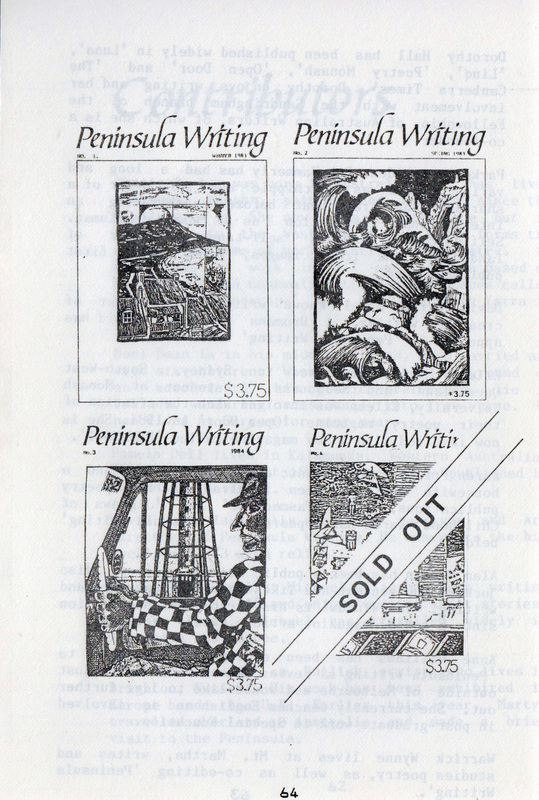 The second issue of Peninsula Writing came out in Spring 1983, featuring a vibrant orange-yellow cover, based loosely on the waves at Cape Schanck by Gavin Duffy. 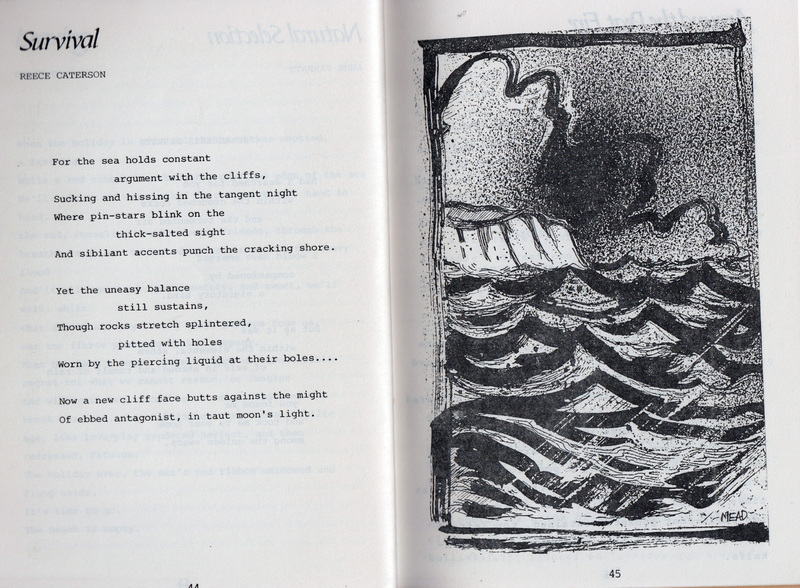 The issue had a bit of a nautical theme from the cover on with the opening story A Struggling Brigantine by Joe Mann, poem called Petrel over Port Phillip Bay by Donald Whitelock, Mornington Peninsula Sketches by Fiona Capp and Human Being as Whale by Warren Breninger. 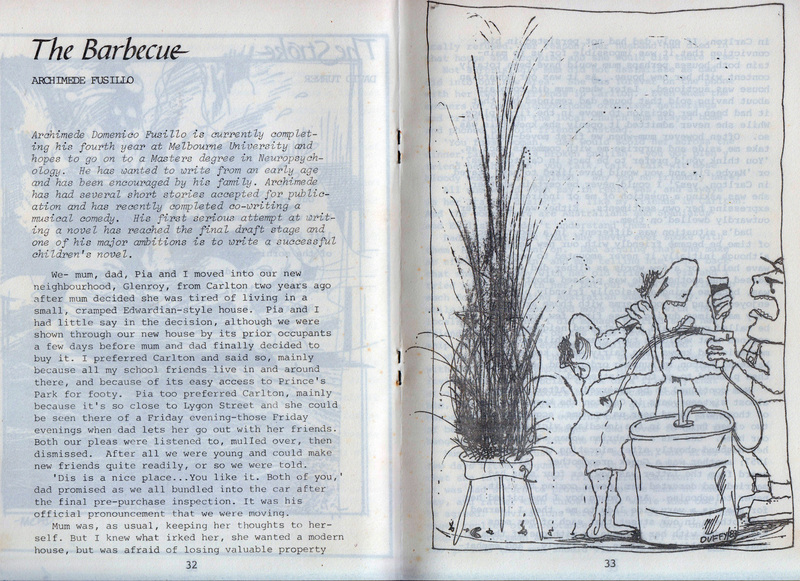 A short story called The Barbeque by Archimede Fussillo, was another feature. 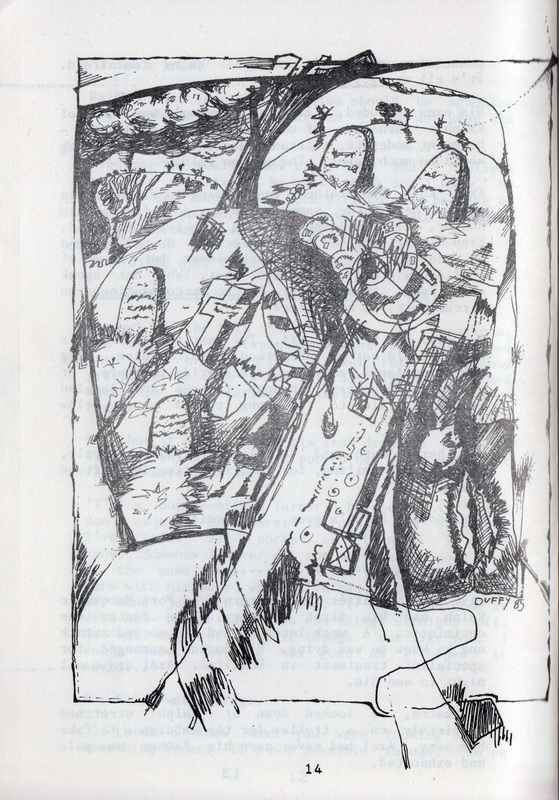 The issue also featured additional artwork by Phillip Mead and J.Lewis. 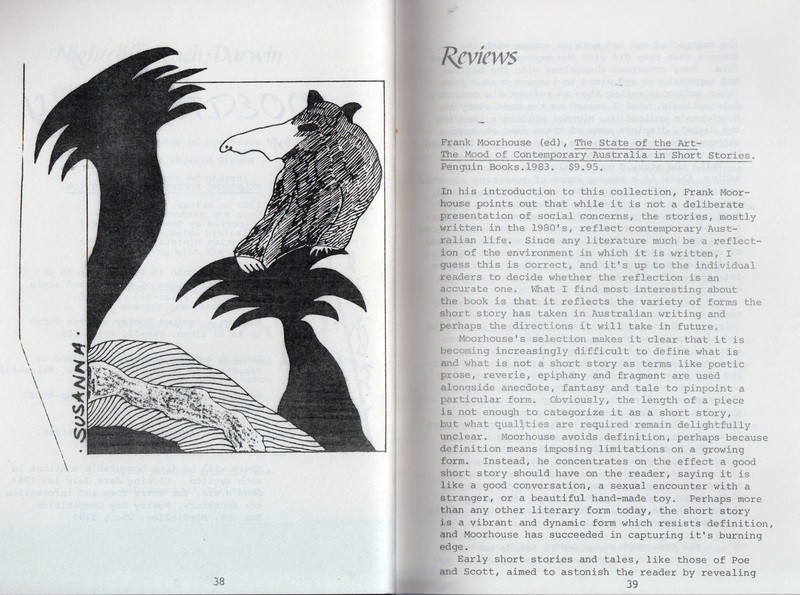 In the review section, I reviewed Geoff Page’s Shadows from Wire and David Malouf’s Fly Away Peter, Anne Williams reviewed The Strength of Tradition, edited by R.F.Holt and Liam Davison reviewed Victor Kelleher’s Africa and After. 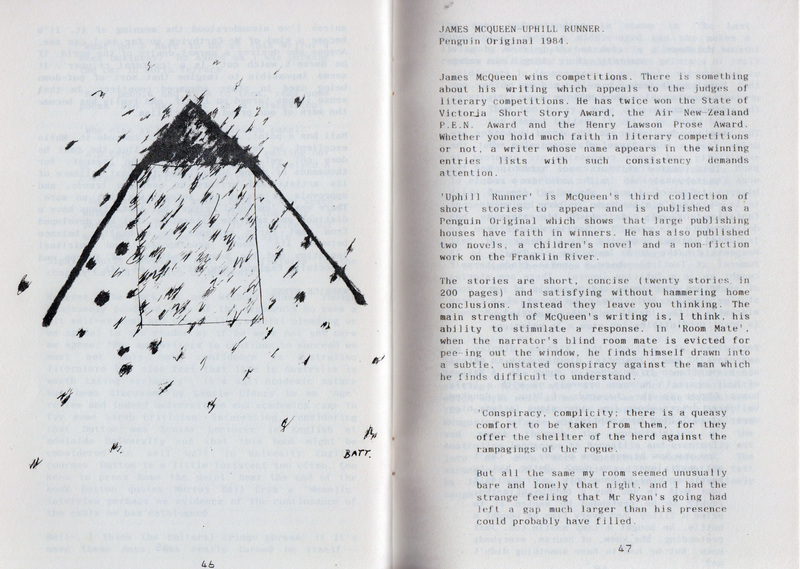 Below: the editorial for Issue 2. 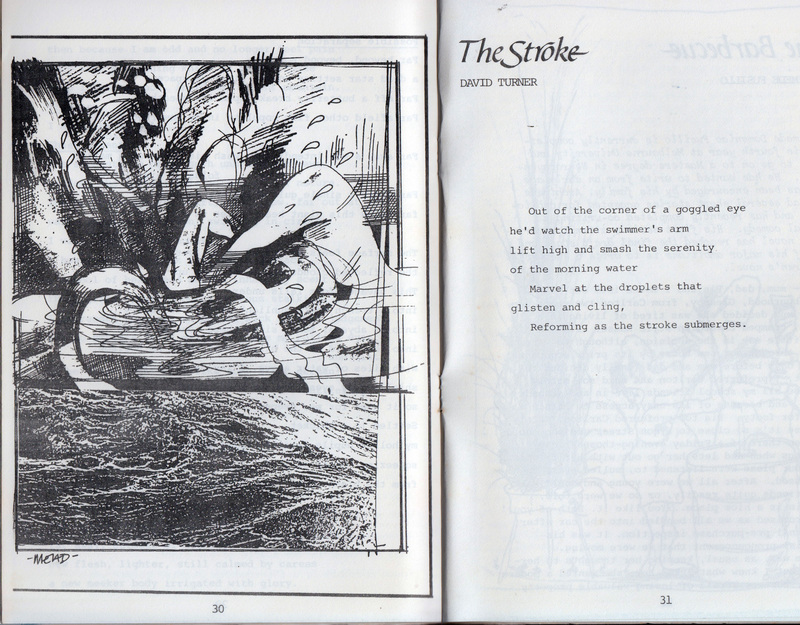 See the issues we had with printing it black enough! 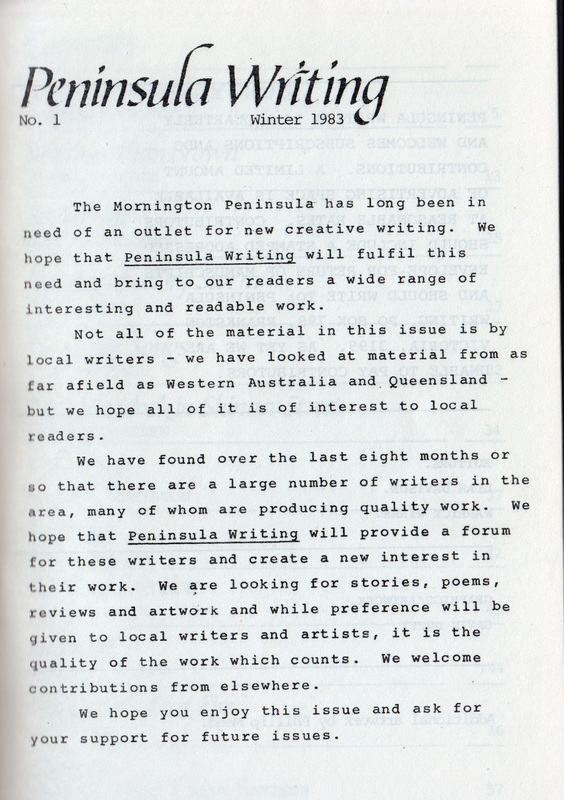 The first issue of Peninsula Writing came out in Winter, 1983, for the Mornington Peninsula which had ‘long been in need of an outlet for creative writing’. 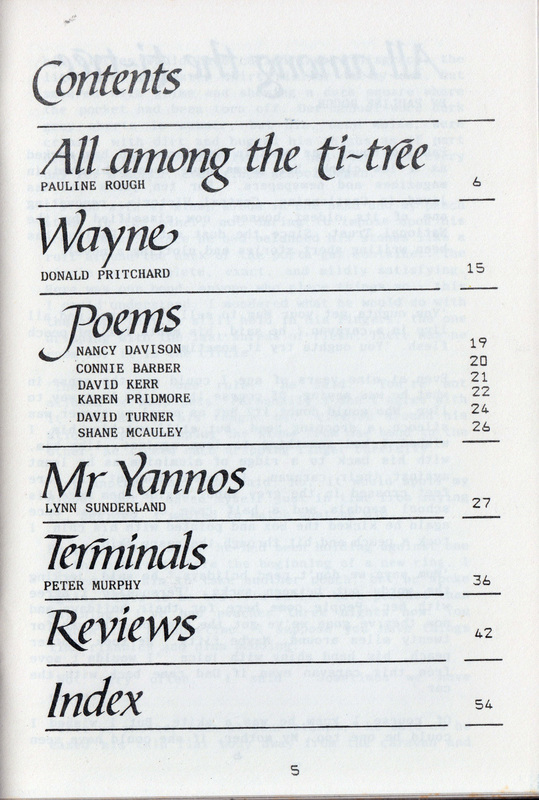 The manifesto was to provide a forum for writers from the Peninsula and beyond. 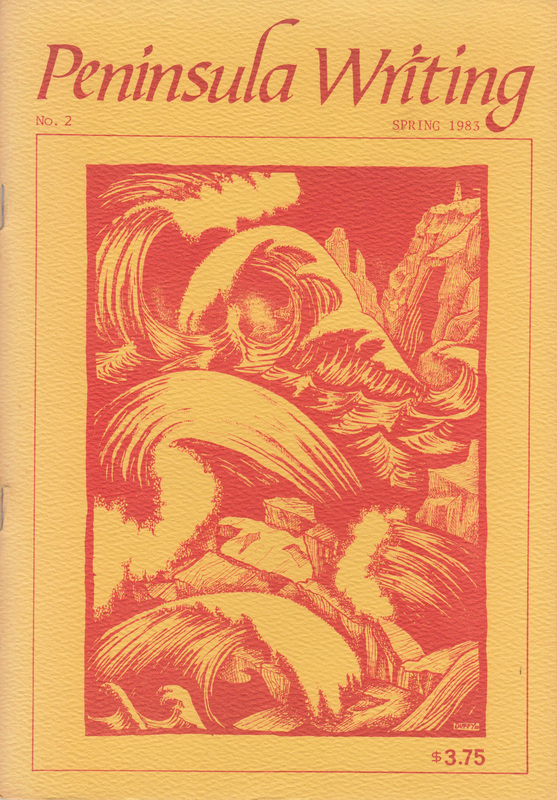 The first edition set the pattern for issues to follow: a terrific cover by Gavin Duffy, short stories, poetry, some reviews and some artwork and graphics, including some artwork by Phillip Mead. All for $3.75. 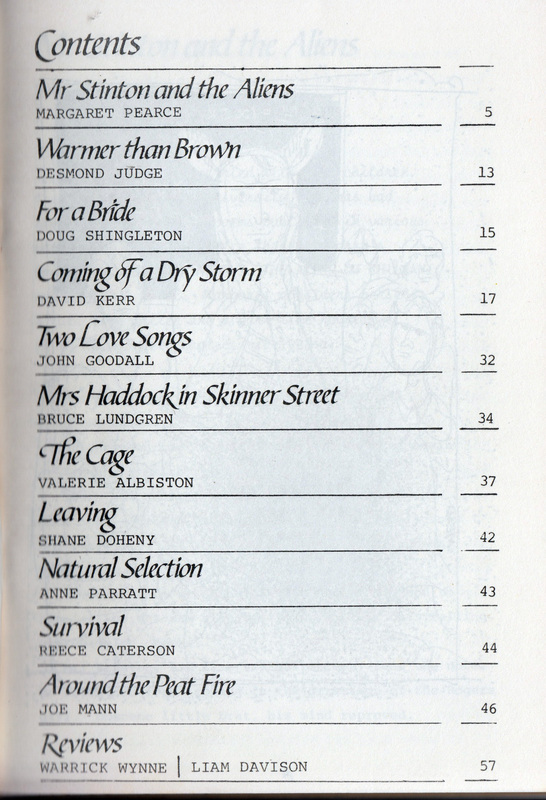 In that first edition there were stories by Margaret Pearce, Doug Shingleton, David Kerr, Valerie Albiston, J. Mann and poetry by Desmond Judge, John Goodall, Bruce Lundgren, Shane Doheny, Anne Parratt and Reece Caterson. 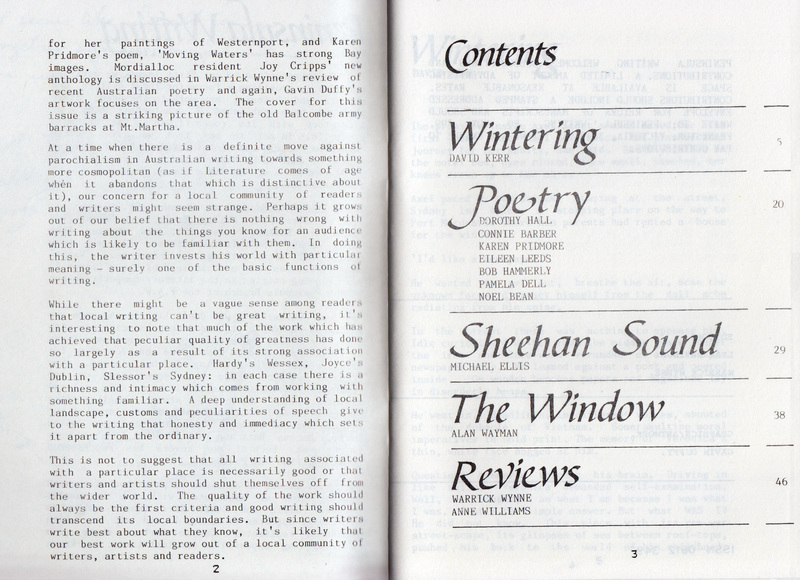 I reviewed The Younger Australian Poets and Liam Davison reviewed The Plains by Gerald Murnane.